When shopping for the perfect gifts, it’s a double win when you select items that are fun AND encourage learning. Just like sneaking extra vegetables into dinner, gifts that have a learning element help children grow through play. 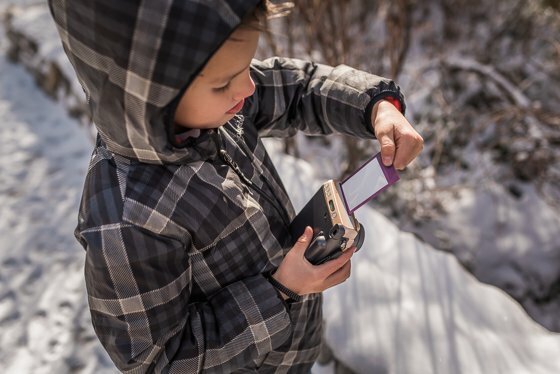 We’ve selected our favorite educational gifts that you’ll want to check out this season. Daily Mom is your go-to for all things holiday. 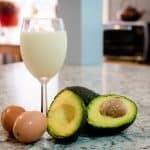 Whether you are looking for the best recipes or even just tips for getting your house speed cleaned for unexpected company, you will find it here! During this season full of joy and gratitude we will be bringing you amazing articles, the low down on stupendous gifts, tips, and suggestions on how to keep your whole family festively clothed and so much more! 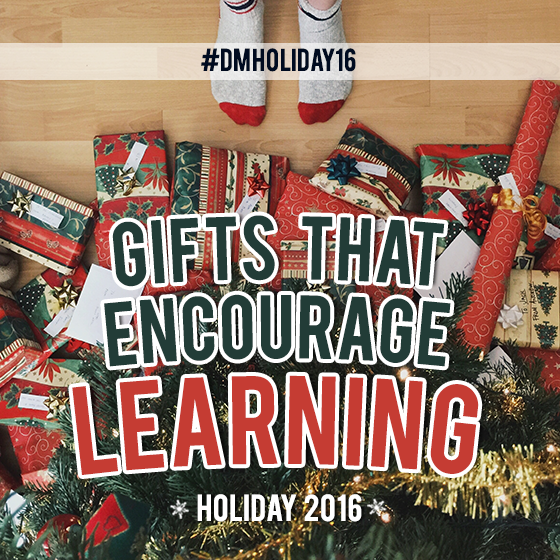 Be sure to stay up to date with all of our guides, and hashtag us with all of your holiday happenings #DMHoliday16. When choosing gifts for kids, there’s often a debate about whether or not electronics are a good idea. Computers, video games, entertainment systems, handheld devices . . . or books, learning games, and gifts that inspire creativity? 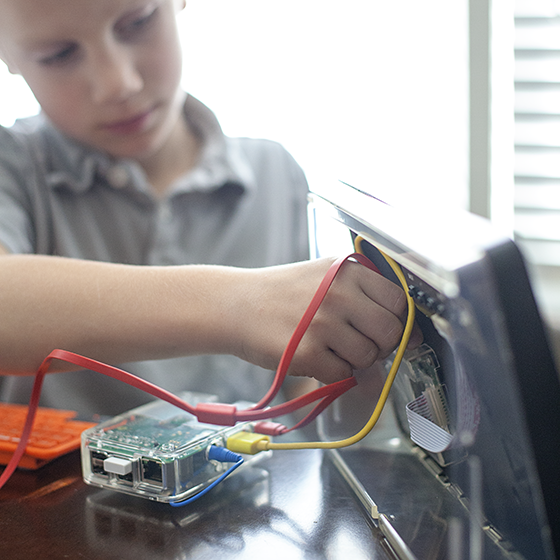 Electronics are the things that kids tend to be drawn to, but are they habits we want to encourage through our giving? Kano is the ultimate solution to this dilemma! 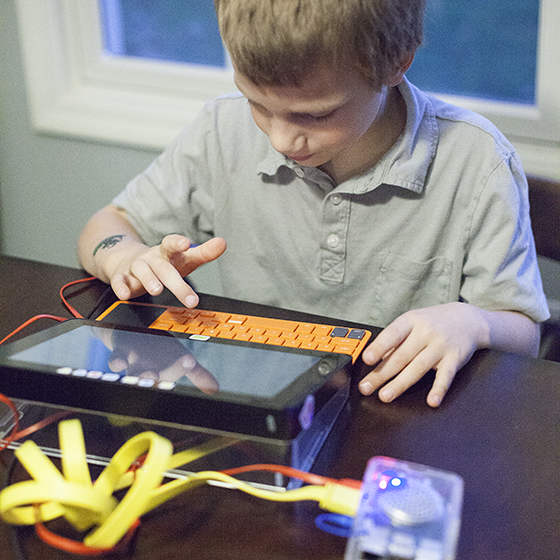 Kano is a DIY computer that kids put together themselves! 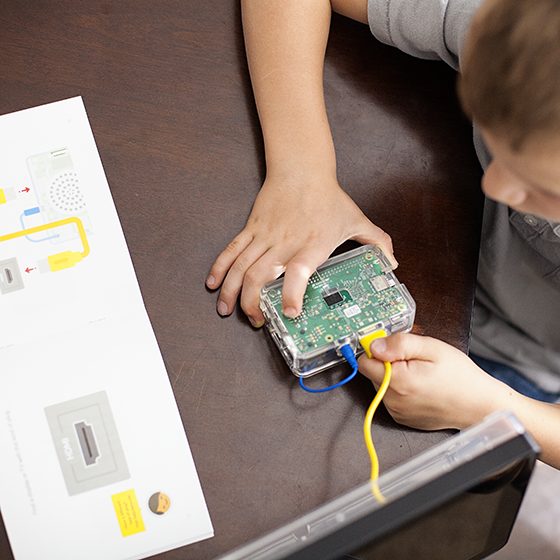 With the help of a detailed, easy to follow story-style instruction book, kids assemble the computer on their own. Each step of the way, the book explains how the parts work and teaches kids more about computers. The computer kit includes a nice set of components, including a Raspberry Pi, case, keyboard, microSD card, and all of the required cords. The computer can be assembled and connected to any screen. 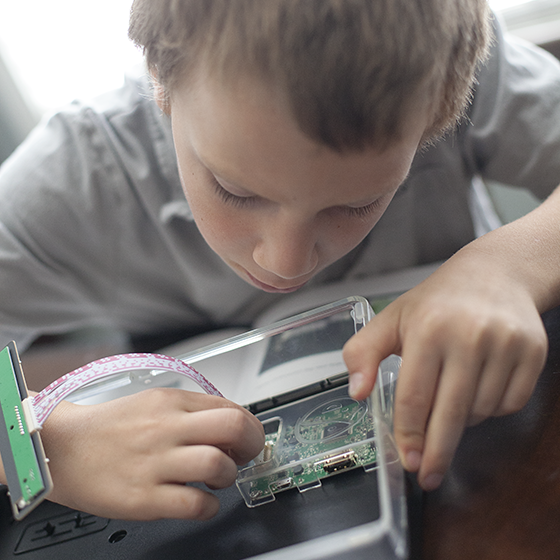 However, the screen kit is a great add-on, allowing your child to make his own screen, too! You can buy both the computer kit and the screen kit bundled together at a reduced price. After they’re assembled, both kits fit together compactly for easy storage. Once assembled, you’ll find that the Kano is far more than just the sum of its parts! The experience is what makes Kano so valuable. It provides a playful approach to coding and programming, and a number of games to choose from (including a hackable version of Minecraft). 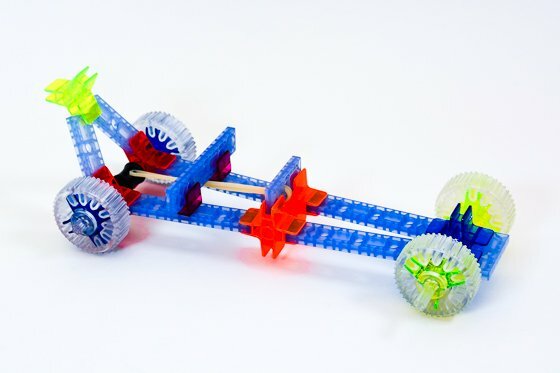 Perfect gift for the kid ages 7-14 who loves a challenge and is interested in computers and coding. 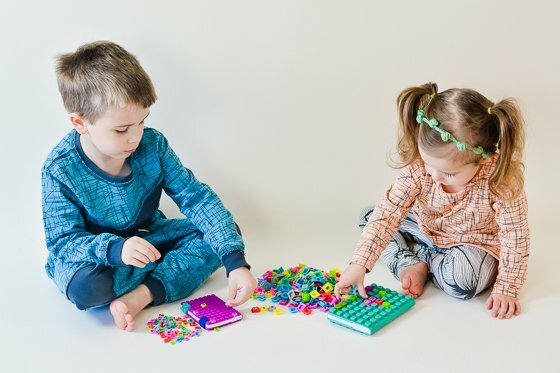 Kano was inspired by a challenge from co-founder Alex Klein’s six-year-old cousin, Micah, who wanted to build his own computer, but it had to be “as simple and fun as Legos.” In December 2013, Kano launched a Kickstarter campaign in which they beat their goal 15-fold. The company’s mission is to give young people a simple, fun way to make and play with technology, and take control of the world around them. Creators have already made and shared over 14 million lines of code. 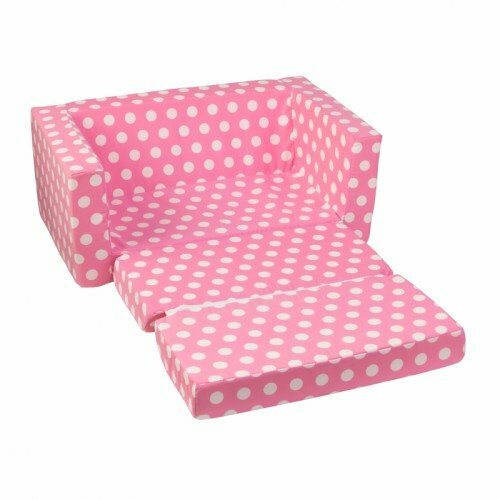 The Lil Lounger from KidKraft will quickly become your childs favorite spot in the house. For kids 3 and up, the Lil Lounger can be used like a couch or pulled out creating the perfect kid sized spot to lay down, relax, or nap. It comes in 5 colors to match your childs tastes. 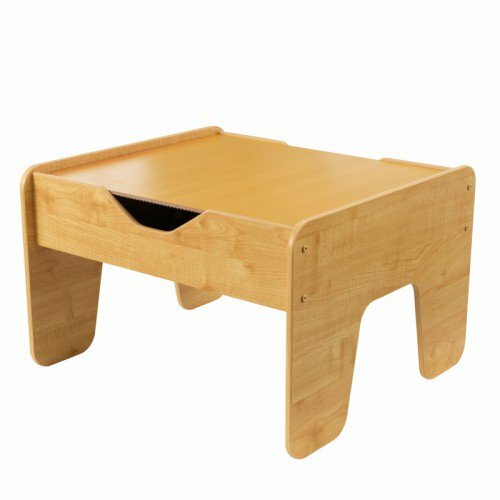 Parents and kids will love how lightweight this piece of furniture is because it can easily be moved from room to room. 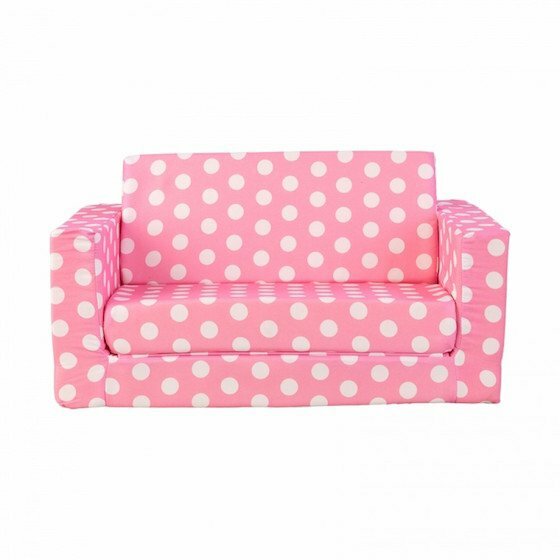 If you have a preschooler or kindergartener who is starting to read, this makes a perfect reading spot. It will make your young child feel grown up to lay there and read on her own, encouraging her to read even more. A great kids toy is one that is versatile. Open ended play helps a childs mind and creativity and that is exactly what you get from the 2-in-1 Activity Table. 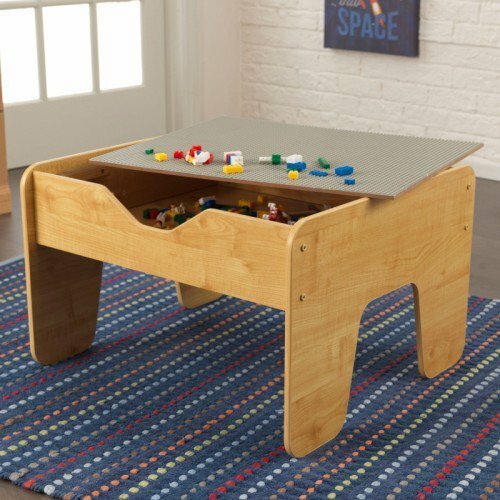 The KidKraft 2-in-1 Activity Table has a LEGO®-Compatible Board for kiddos who love to build. 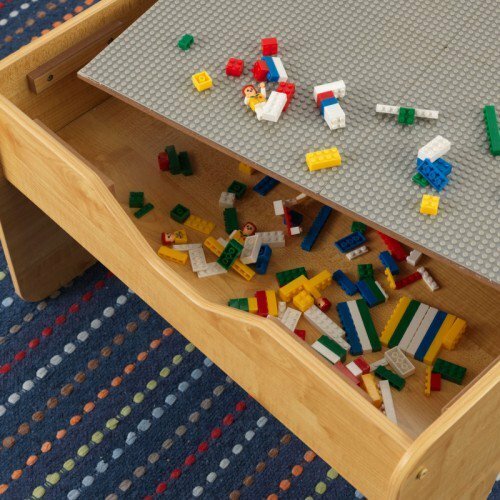 Your little LEGO builder will love that she can keep her beloved creations off the floor. There is storage under the board making cleanup a cinch. It is large enough that two kids can play together. It comes with LEGO®-Compatible blocks and a train set. Perfect gift for creative kids with a big imagination who crave open ended play. For wooden toys and furniture for kids, KidKraft is the best. This company is well known throughout the world for their quality designs that encourage creativity and learning in children everywhere. 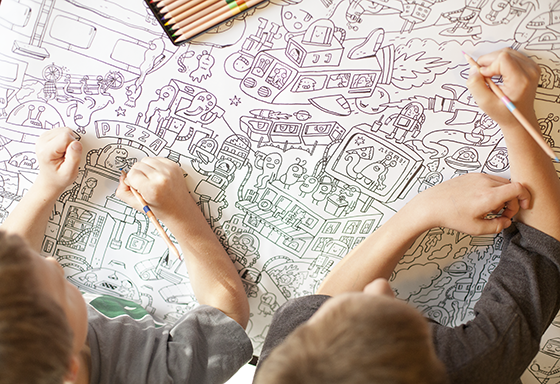 KidKraft believes that every child is an individual with a limitless capacity to create and explore. 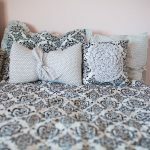 Their products are designed just for children, allowing them to express their creativity with toys like easels, and ensuring that they are happy and comfortable with their kid sized furniture. They have storage solutions that keep toy rooms organized and their play sets inspire imaginative play that will never stop. 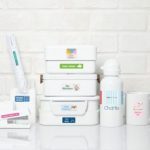 We love kids stuff that makes our kids feel special and encourages healthy development in a fun way, and that is exactly what the products from KidKraft do. 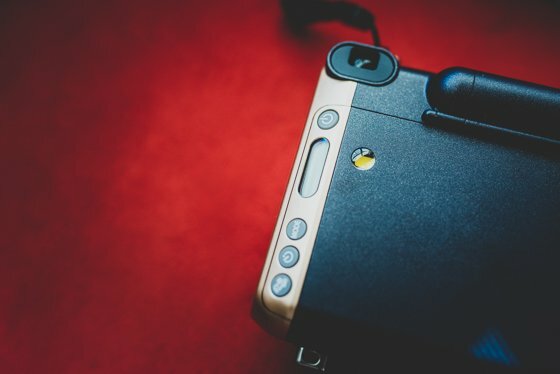 Remember before the days digital cameras, tablets, and phones had built-in cameras, the excitement of those special film cameras that gave you an instant picture in your hand? Now, every school-aged kid can take a million pictures a day on his or her tablet and maybe never hold a physical copy of those pictures. 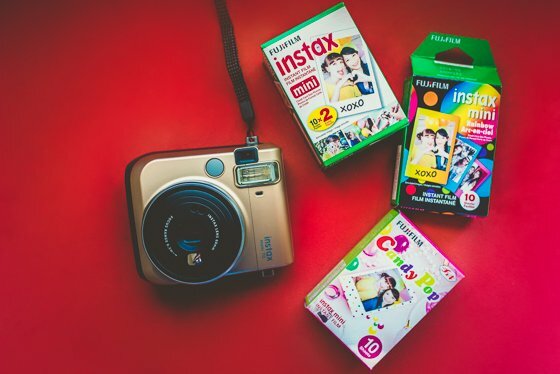 FUJIFILM Instax Mini 70 brings that excitement back and gives kids the opportunity to learn about the roots of photography. 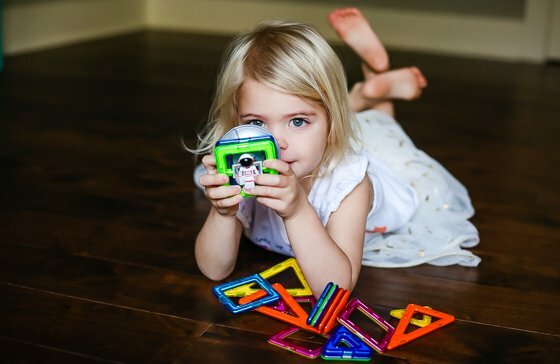 What better way to bond with your child than sharing in their excitement over their own camera that gives them prints they can decorate and hang on their wall instantly? 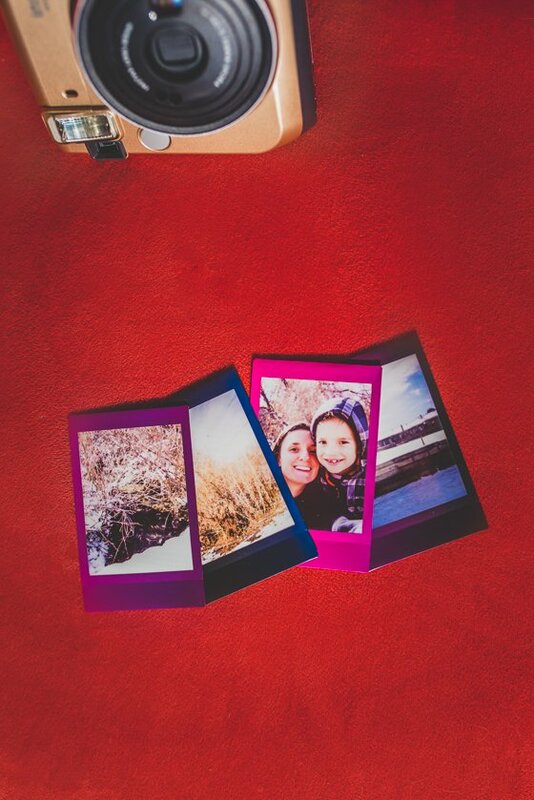 Plus, what child wouldn’t love the built-in selfie option? Perfect educational gift for the young explorer or artist! FUJIFILM is a pioneer in the photography world that now brings innovative products and solutions to a broad spectrum of industries. 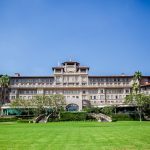 They have grown into an environmentally conscious company and good corporate steward that continues to build and sell reliable cameras and film. The WAFF line of colorful notebooks carries a variety of sizes and colors, including glitter shades. Each notebook contains lined notebook pages (Large – 200, Medium – 190, Mini – 120). The outer covers are made of silicone, and each contain two removable silicone clips to keep them closed when not in use. The WAFF line carries a variety of silicone cubes to create and recreate the perfect cover for your notebook over and over again. 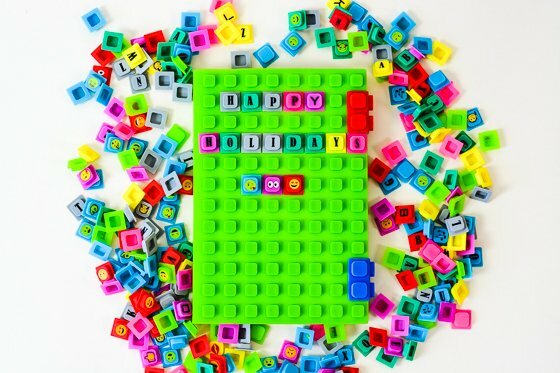 Spell out phrases and names with your alphabet cubes, math cubes, and the emoji cubes. The possibilities are endless! Adults and children alike will love to play with their WAFF cubes. Not only are these functional notebooks, perfect for work or school, but they can provide hours of fun during boring trips to the doctor while sitting in the waiting room or long car rides. 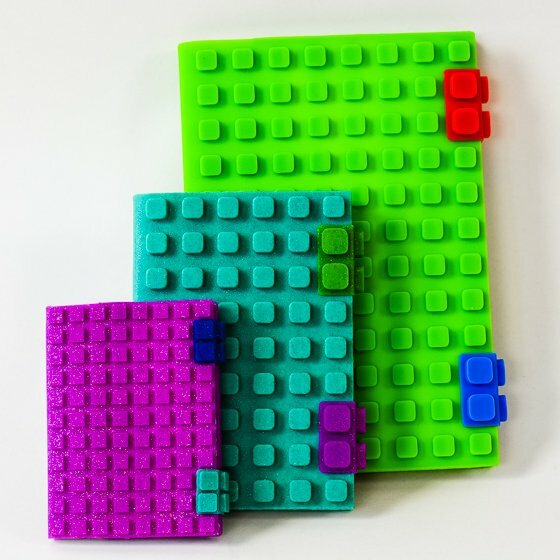 You can purchase your WAFF notebooks as sets with cubes included, refillable notebook pages, and separate sets of cubes. 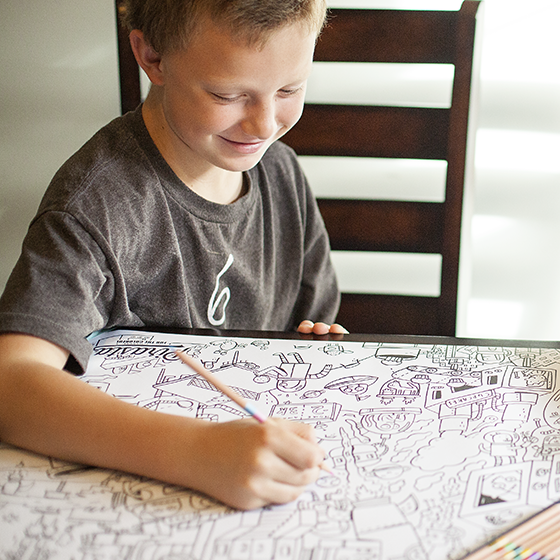 Perfect gift for the child at heart who loves being creative and using their imagination. 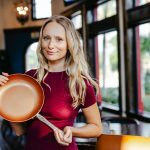 Kristina Boudaeva has had a passion for innovative stationary and contemporary design ever since she was a small child. As a mother of two boys, she noticed the lack of agendas and journals on the market that inspired human creativity. She believed that everyone is a child at heart, and really wanted to create stationary items that reflected that. So, she quit her secure government job and launched her WAFF line. Inspired from the grid of waffles, her favorite dessert, she decided to bring a similarly textured surface into the stationery world. WAFF’s mission is to create products that are beautiful in design and that encourage children and adults to be creative, draw pictures, create characters, take notes, or keep a journal  a world of endless possibilities. 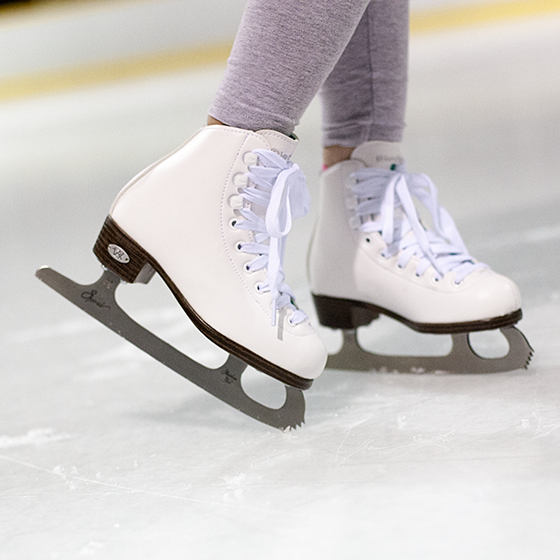 Christmas break is the perfect chance for kids to get out on the ice, so why not put a pair of ice skates under the tree for your child? 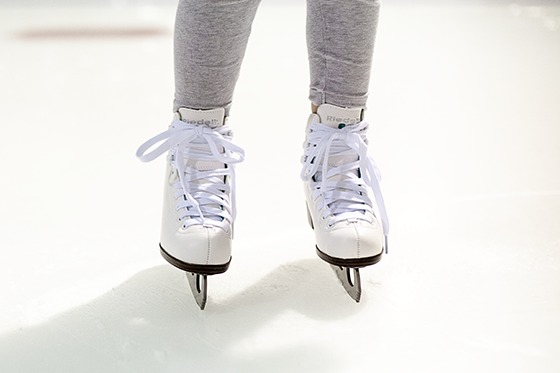 Ice skating provides great exercise and is a fantastic way to build your child’s confidence. The type of skates you buy for your child can make all the difference between fun and disaster. Without the right support and adequate comfort, he or she will tire quickly and spend more time on the bench than on the ice. 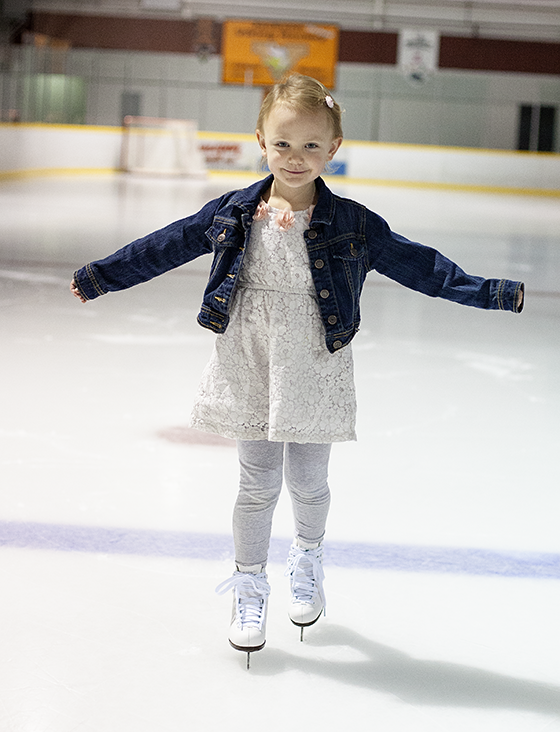 The truth is that ice skating success is quickly determined by the quality of your child’s skates. 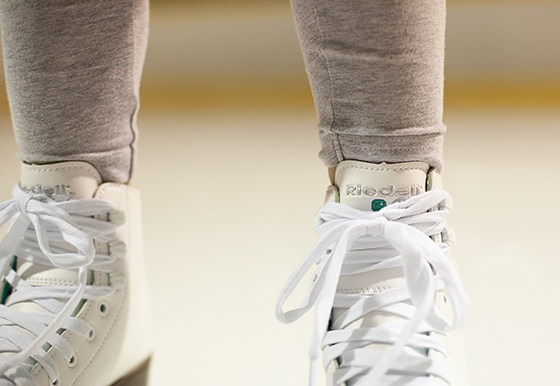 This is why we think you should give your little skaters a pair of Riedell skates! For years, Riedell has been the brand that many of the pros turn to, so of course their line for beginners is top notch. The Riedell Model 10 Opal Jr. Skate Set is our pick, and from the minute you open the box, you’ll understand why. The soft boot has a quilted lining for comfort, but provides the perfect amount of ankle support needed to keep beginning skaters steady. The maintenance free PVC sole keeps feet dry, and the stainless steel blade is of the highest quality. 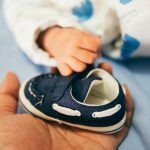 Because proper fit is important for your child’s comfort and stability, Riedell offers a sizing guide that will help you select the perfect size for your child. They even have authorized dealers around the country who can ensure a proper fit. 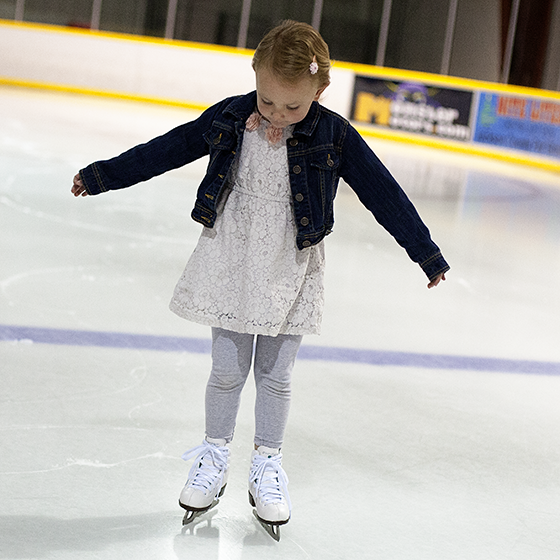 Whether you enroll your child in lessons or just plan to enjoy some time together skating recreationally, Riedell skates are the best option for your family. 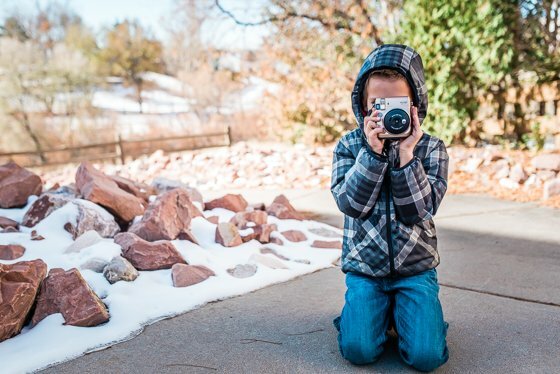 Perfect gift for the kid who loves to stay active, even during the colder months. Riedell Shoe, Inc. was founded in 1947 by Paul Riedell. The founder wanted to design widely available and affordable ice skates, and he did just that. His four grandsons went on to manufacture the most complete line of figure skates and roller skates. Their fitting technique helps ensure a proper fitting shoe; a shoe that requires more than 120 production steps. 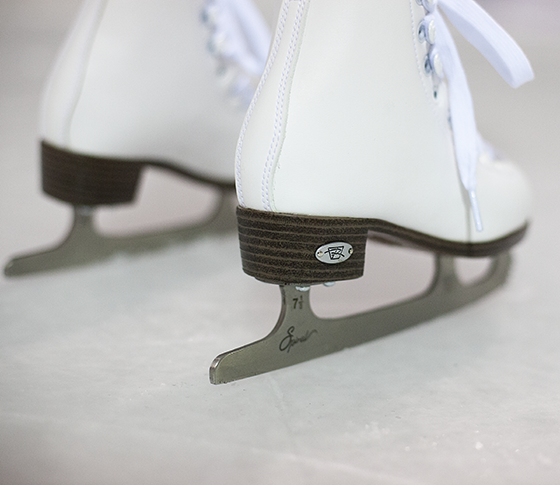 Riedell skates are the only skates endorsed by the Professional Skater’s Association. They are the lightest, longest lasting boot on the market. 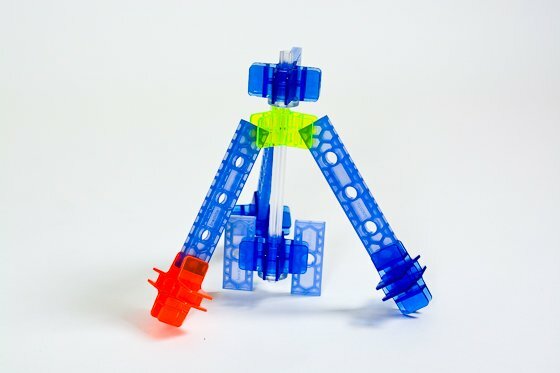 Surprise your kiddo this year with a unique building block-like set of geometric shapes that easily lets him build spaceships, space stations, moon explorers, and more! 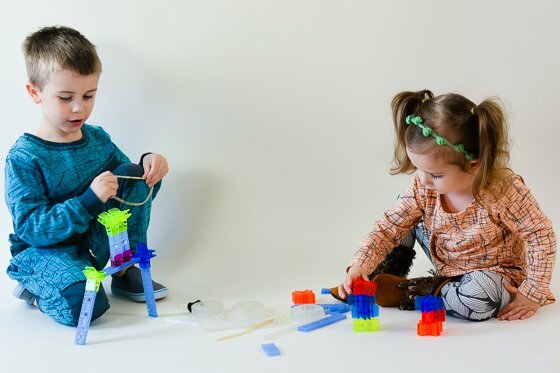 These magnetic, brightly dual sided colored plastic pieces allow little hands to form all kinds of creations, limited only by their imagination. This Space Wow Set by Magformers includes everything you need for all things space, such as a swinging astronaut, an antenna, and two wheel bases for creating vehicles that are made for moon bouncing. Use the included cards for ideas on how to start building, or go rouge and see what your child can come up with on their own! The Magformers Sweet House 64 Piece Set needs to be under your Christmas tree this year. 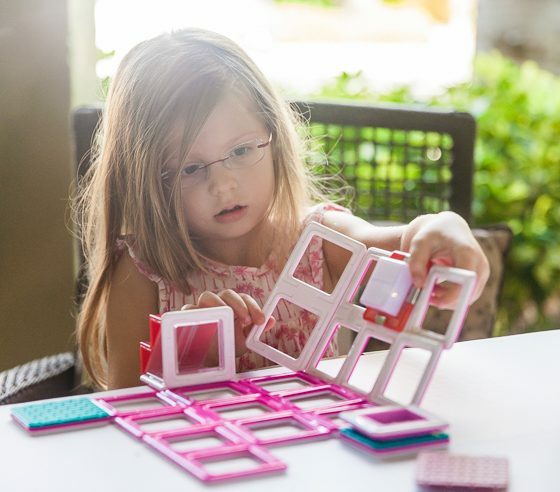 Encourage your daughter to become a little engineer or architect with this pretty pink set from Magformers. You can give her pink toys without giving her cheap plastic junk that will be laid aside and forgotten quickly. Building toys encourage learning with their endless possibilities. With this Magformers set, your child can build hotels, houses, mansions, and more. She can even make little trees for landscaping outside her creation. Perfect gift for kids who crave creating, exploring, and deepening their imagination through play. 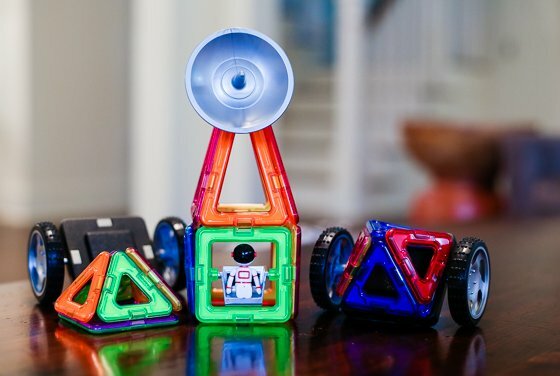 Magformers designs and produces toys that are safe, fun, and inspirational for the next generation of architects. 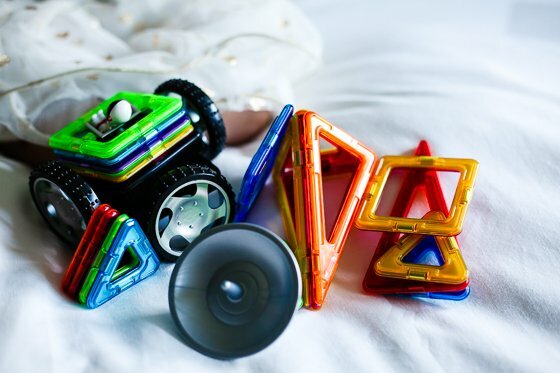 Headquartered in Michigan, their magnetic building toys are not only fun and educational, but are safe as can be, with their Sonic welded, BPA free, HQABS plastic housing holding rotating Rare-Earth Neodymium magnets, that make connecting each piece flawlessly simple. Available in a countless variety of sets, there is a Magformer for every child – and adult! – out there. Most people will agree that the butterfly is the most beautiful of insects. Our children learn about the butterfly from a young age with books like The Very Hungry Caterpillar, and we are all fascinated with how the caterpillar changes to become a butterfly. 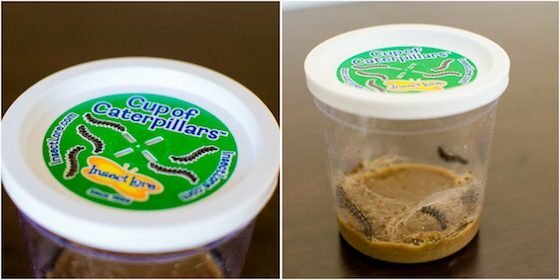 Your child can learn about this life cycle and witness the metamorphosis right before his eyes with Original Butterfly Garden with Live Caterpillars. This kit comes complete with everything your child needs. The caterpillars arrive in a cup that has the food they need and a place to hang when they develop into chrysalids. 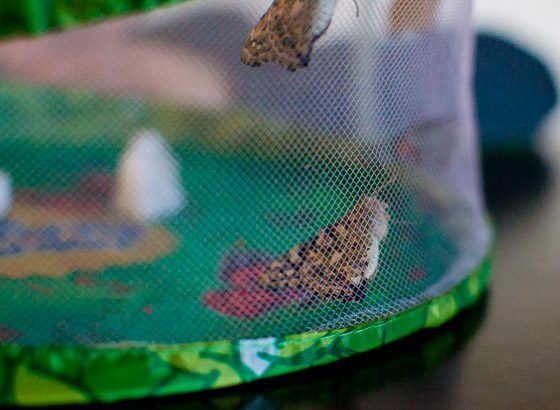 Once in chrysalids form, the kit makes it easy to transfer them to the habitat so the painted lady butterflies can emerge and begin their new life of flight. The habitat is reusable, and you can always order more caterpillars from Insect Lore. 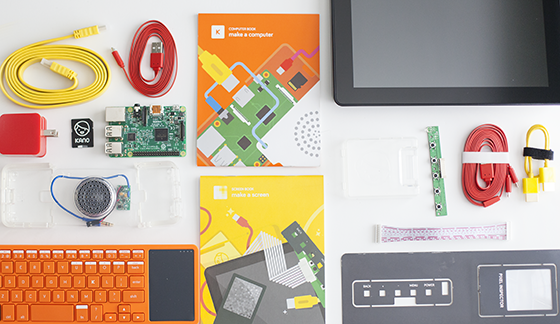 This kit is an exciting gift that is also educational. Skip the junky plastic toys this year and give your child an experience that is far more valuable instead. 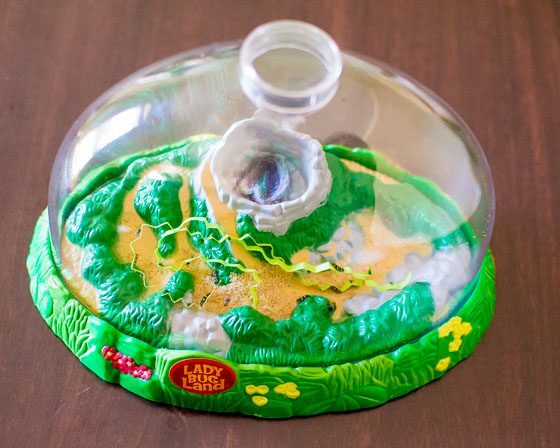 Your child will have the best time with the Original Ladybug Land with Live Larvae. What kid doesnt love ladybugs? They are adorable, and some people believe they are good luck. We all remember catching ladybugs and counting their spots when we were little. 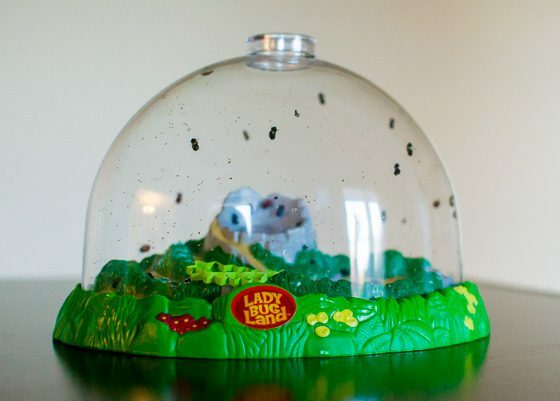 Now your kids can watch the ladybugs development from larvae to adult ladybugs. The kit arrives in the mail with a plastic tube containing the larvae with all the food they need to develop. Their habitat has a sponge that you water to keep it moist inside. The top is a magnifying glass making observing the tiny creatures easier. Once the ladybugs are fully developed, you can keep them around a couple days before releasing them outside. Let your child visit with his ladybug friends as they live to complete their life cycle on their own. Count some spots and enjoy the moment. You can buy any Insect Lore kits with a voucher to order the live larvae instead of the bugs coming with the kit right away. When you are ready to start the bug experience, you just redeem the voucher online and your live critters will be on the way! This is a good option for giving one of the kits as a gift. If you receive the live larvae, you need to open the kit right away. 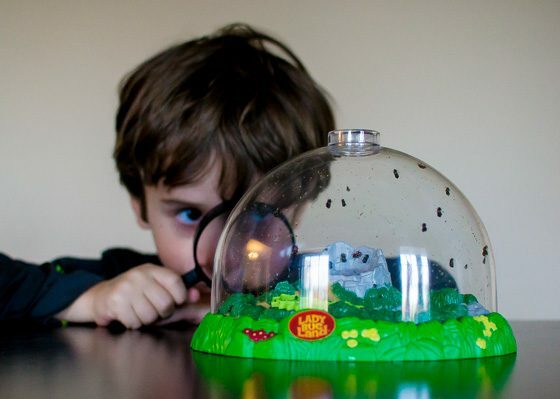 Perfect gift for kiddos curious about insects and nature. 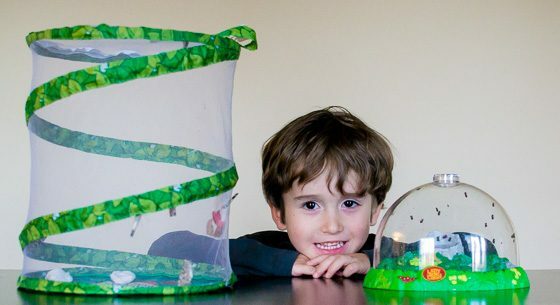 Insect Lore is a company that started out of a passion to let children experience the miracle of life through butterfly metamorphosis. They have been growing butterflies since 1969, so they know what they are doing. 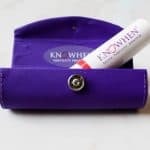 Founder Carlos White took years to develop the perfect kits including food for the insects, and because of his hard work and knowledge, your kids can now experience insect life cycles right at home or in their classrooms. 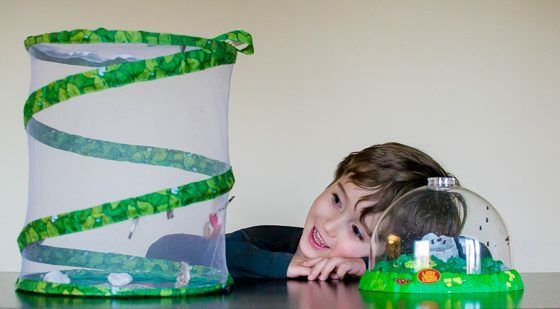 Insect Lore now specializes in the most innovative educational products for children, and their kits are loved. Their product line still includes butterfly kits, but they also offer kits for other insects including ladybugs, praying mantis, and ants. They also have bug viewers and nets to catch bugs. 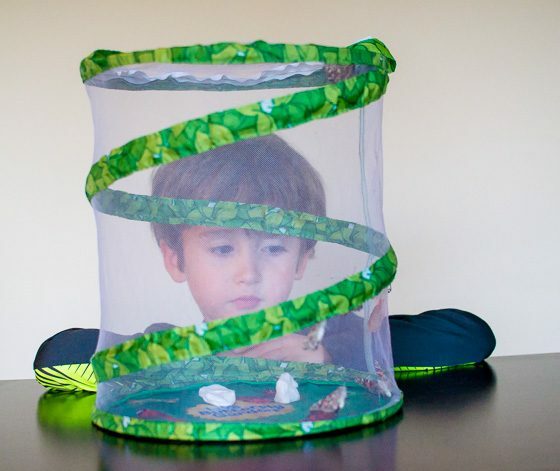 If you have a child obsessed with bugs, nature, and the outside world, Insect Lore has what you need to make that childs holiday special. If you’re looking for a gift that encourages artistic expression, learning, and a better understanding of the world, Pirasta is the place to look! 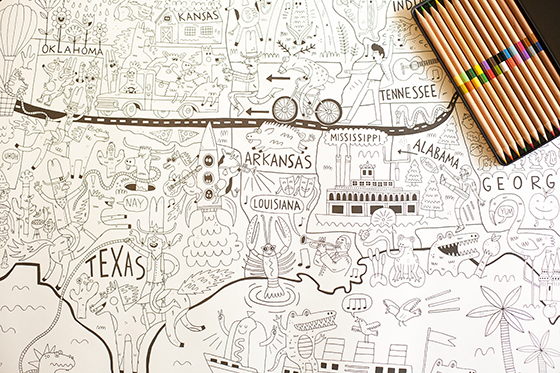 Pirasta offers a line of coloring posters and sheets that kids will love. But coloring isn’t just for kids anymore . . . hang them on the wall or spread them out on a table, and invite everyone to join. Shut off the TV and spend some time together. Once you start, you won’t be able to stop! Pirasta offers 5 themes: What a Colorful World, Let’s Color America, The Big Apple, Food Fight, and Funny Farm. Each design is beautifully illustrated in ways that are educational and spark conversation. Pirasta NYC coloring posters come in 3 sizes: Really Big Coloring Poster (63″ x 36”), Big Coloring Poster (39″ x 26″), and Coloring Sheets (20 – 14″ x 10″ sheets that assemble to make a 70″ x 40″ poster). 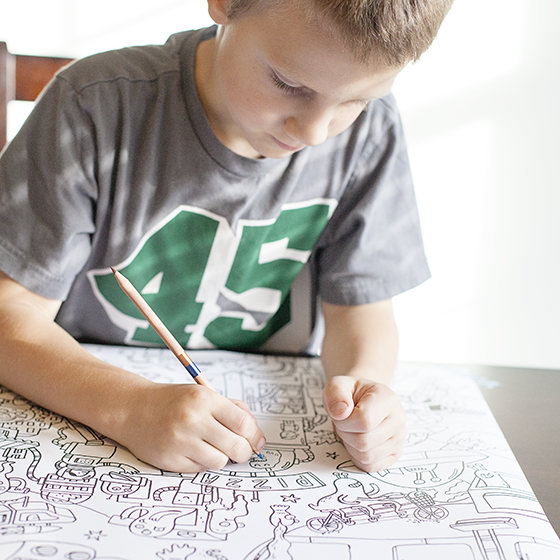 The coloring pages are made in the USA and are printed with vegetable ink on recycled paper. 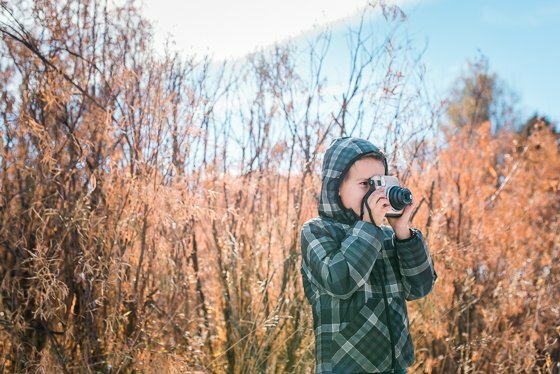 Perfect gift for the kid who loves to spend energy being creative, or the family who looks for unique things to do together. 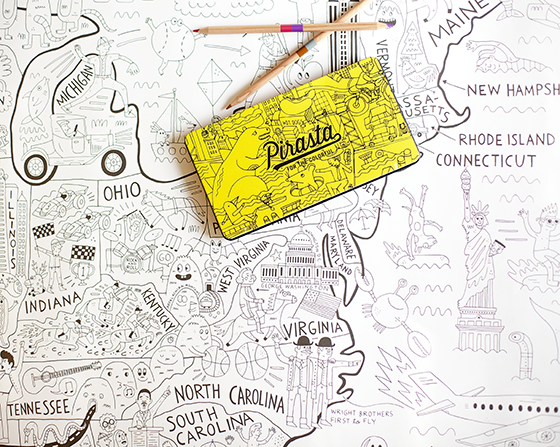 Pirasta was founded by Mira, who would spend hours coloring and drawing as a child. When her son started coloring on the walls of her small NYC apartment, it seemed like a good idea to give him a way to express his creativity, without doing any damage. 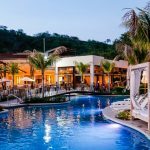 Pirasta is a company that believes fun and education come together through interaction and participation. Unique, connect-anywhere Brackitz attach to traditional planks at any point and any angle, enabling builders to design any structure they can imagine. The possibilities are endless with Brackitz. 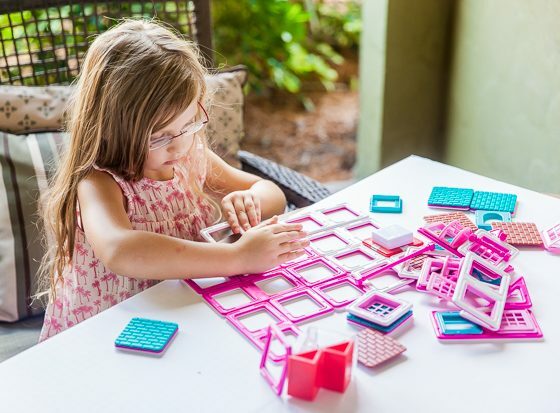 Your child will spend hours creating everything they can imagine – from simple to complex, small scale to larger-than-life, gravity-defying, 3D structures. This construction set is hands-on play that encourages use of imagination and creativity. The 43 piece Driver Set is made in the USA. 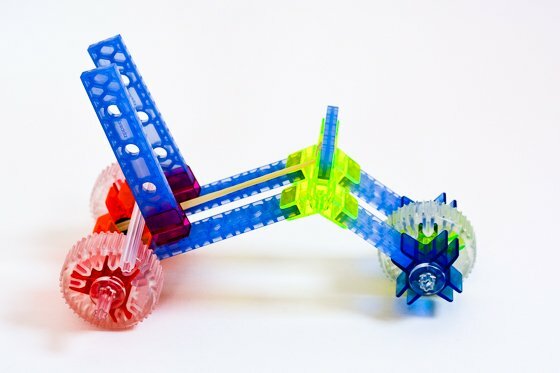 No screws, clips, glue, or instructions needed to bring endless creations to life! This is STEM learning at its finest. 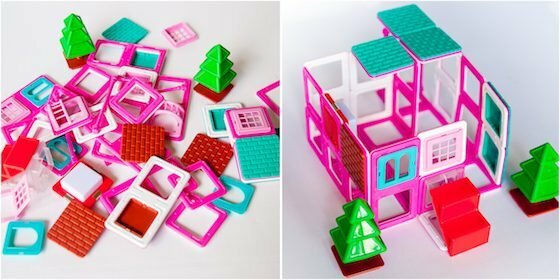 Perfect gift for children who love to build, create, and problem solve through hands-on activities. 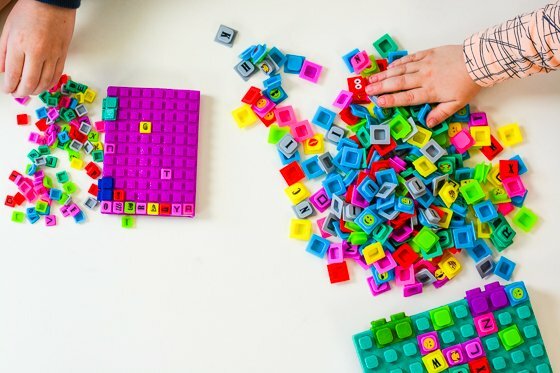 Designed to ignite creativity and connect imaginations, Brackitz goes beyond simply stacking blocks to introduce key math, science, engineering, and architectural principles and lay the foundation for high-level cognitive thinking, reasoning, and problem solving skills  through play! Intentionally open ended toys, Brackitz encourages imagination, unrestricted by step-by-step instructions. The possibilities truly are endless! Dont forget to stay up to date with Daily Mom this holiday season. Also, make sure you check us out on social media and use our holiday hashtag #dmholiday.